Investments that change with time. That's the thinking behind Year of Enrollment Portfolios. With this popular college investing strategy, you and your financial advisor select the portfolio that most closely corresponds to the year your beneficiary plans to begin college. 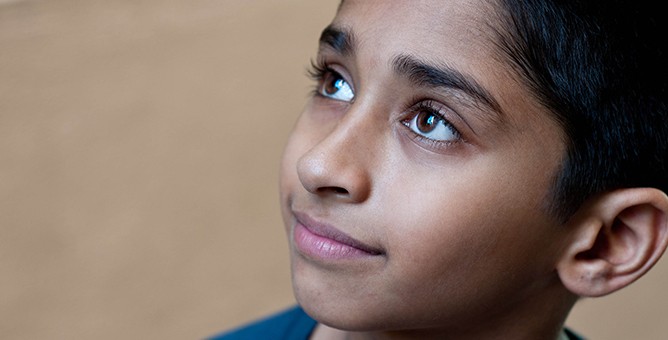 Then, as the beneficiary approaches college age, the mix of investments shifts automatically. 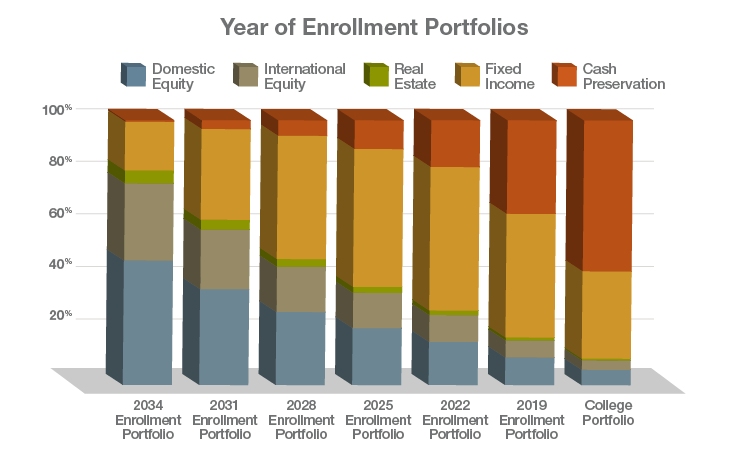 The sample Year of Enrollment Portfolios below show how your investment mix would change as college approaches.